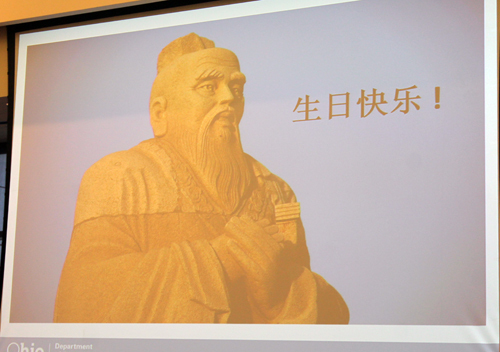 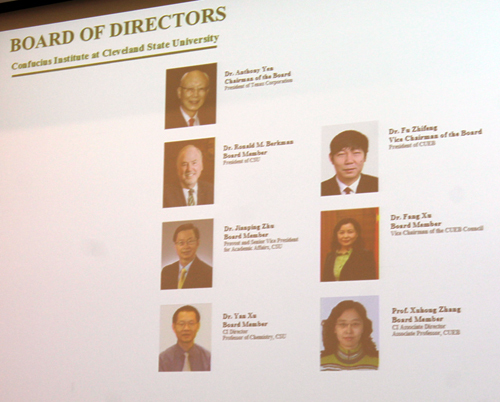 Sponsored by the Office of Chinese Language International Council (Hanban), the Confucius Institute at Cleveland State University was established in August 2008. 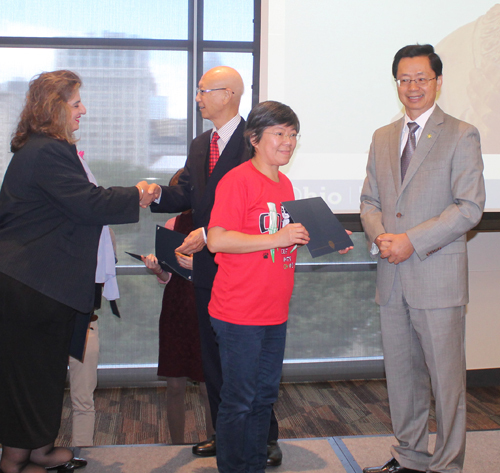 Each year they hold an event to honor teachers. 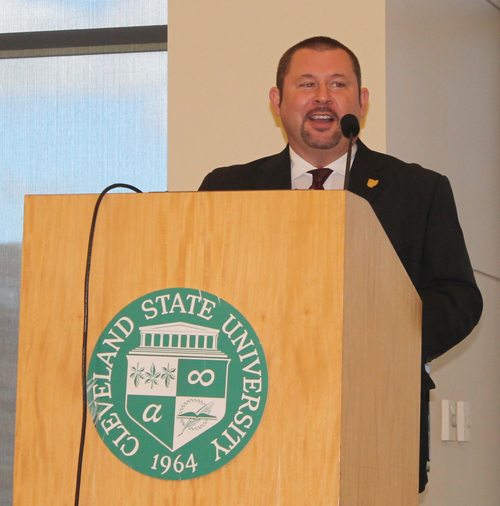 About 270 teachers, students and administrators from 26 different schools and organizations attended the 2017 event. 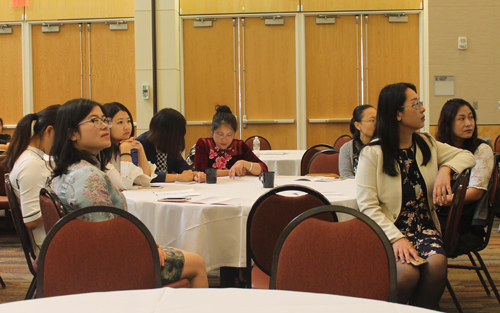 Throughout the event there were Chinese workshops and teaching demos as well as Cultural Booths and Activities. 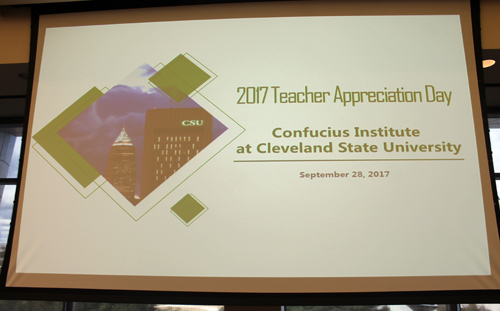 The main program began when Graduate Assistant Rob Daniels, who served as MC, introduced Dr. Yan Xu, the Director of the Confucius Institute at CSU. 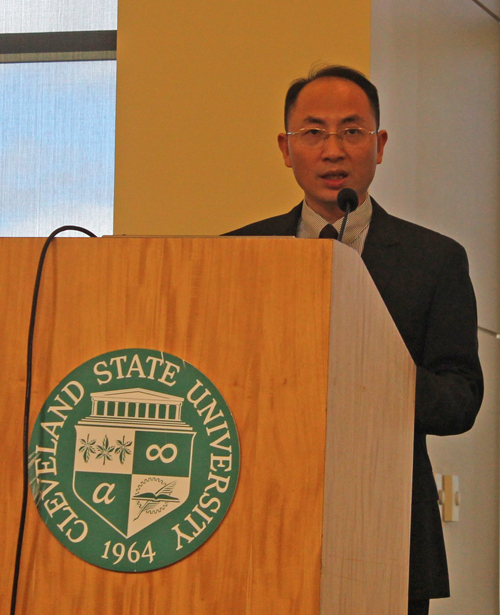 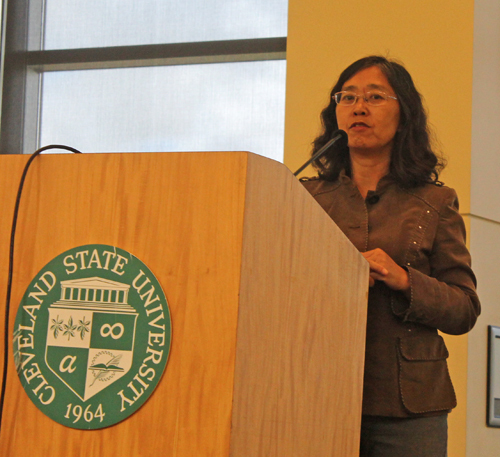 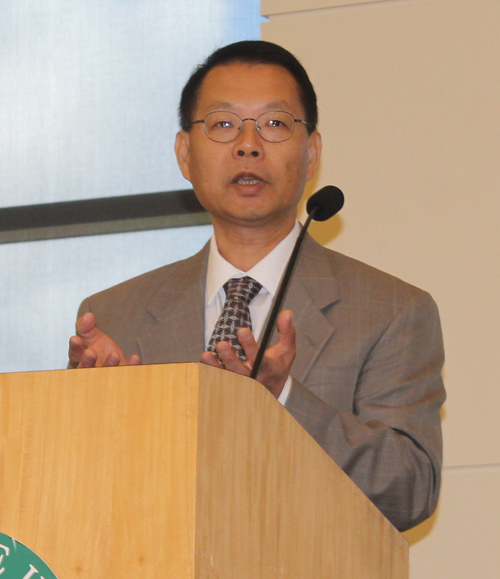 Dr. Yan Xu welcomed the attendees and told about the function, programs and activities of the Confucius Institute at Cleveland State University. 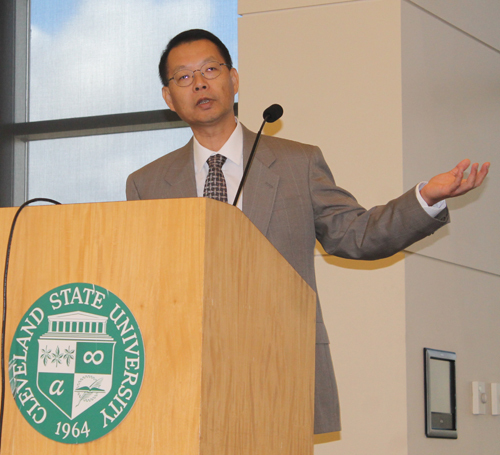 Next, Xuhong Zhang, the Associate Director of the Confucius Institute at CSU, told of the Chinese New Year Activity Grants available to schools. 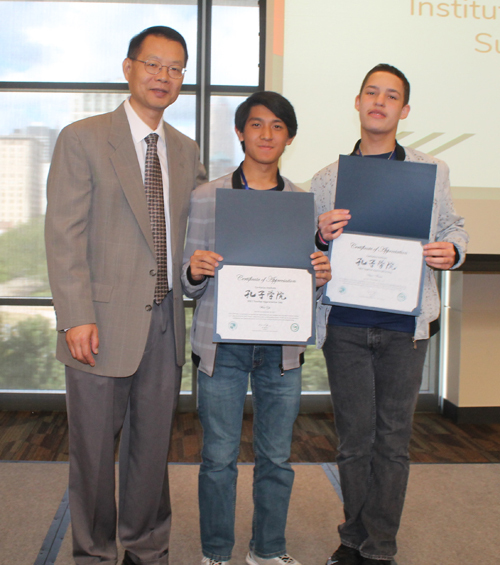 Aaron Brown and Wan Yu are two Northeast Ohio students who attended the 2017 Confucius Institute Chinese Bridge Summer Camp. 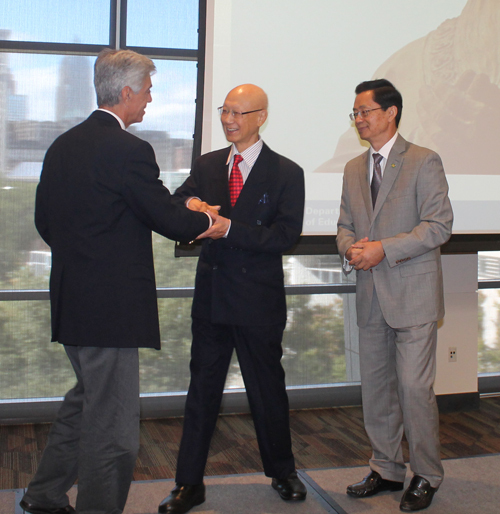 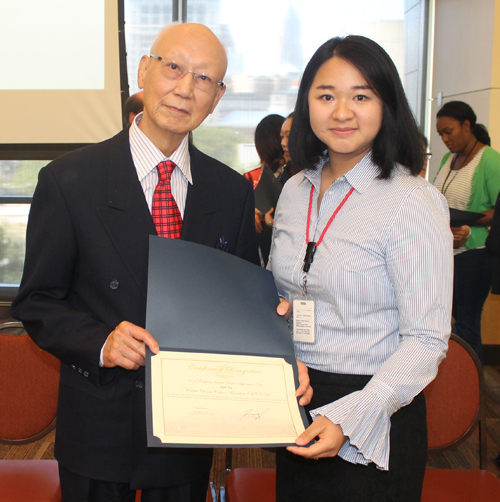 They told of their experiences in China and received an honor from Dr. Yan Xu. 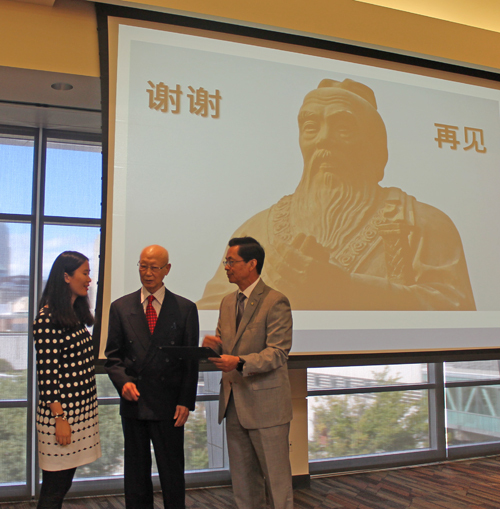 Zijie Li is Project Coordinator of the Confucius Institute and she told of the annual Confucius Institute Art Performance Competition. 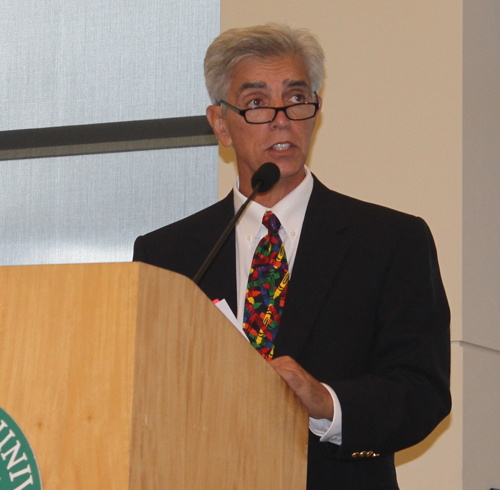 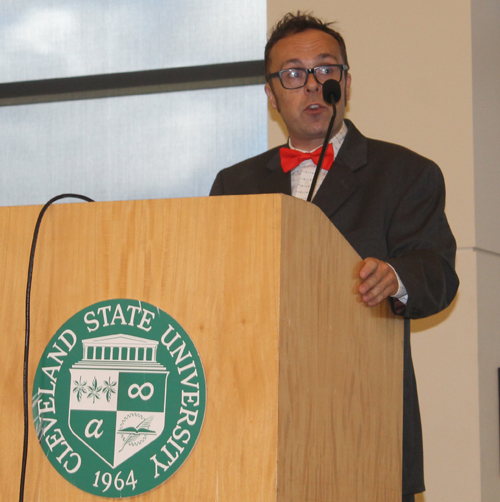 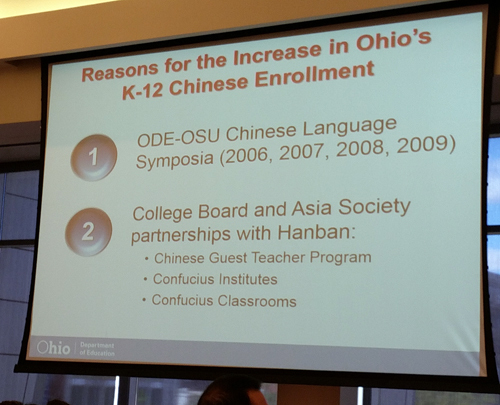 Ronald Abate, Professor in Residence at CSU with the Campus International School, spoke about 'Strong Partnerships make for quality Mandarin Instruction." 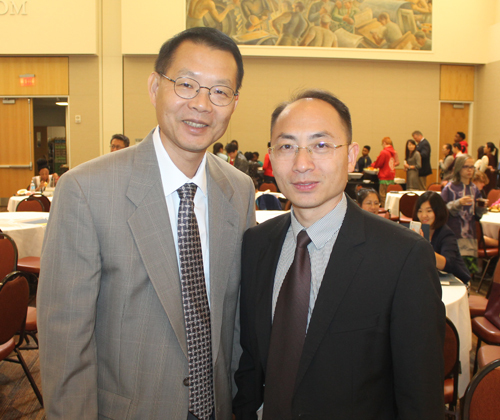 Dr. Zhichao Yin came in from Beijing China to speak about deepening understanding and cooperating for mutual benefit. 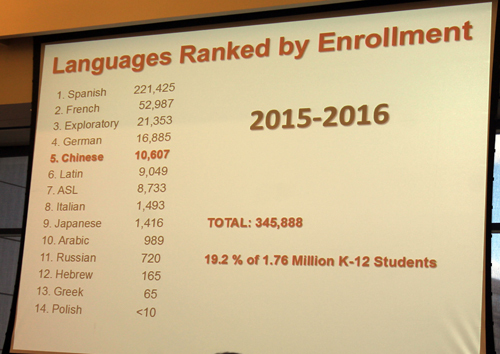 Ryan T. Wertz, World Languages Consultant, Ohio Department of Education, gave the keynote address and discussed Teaching and Learning Chinese in the state of Ohio. 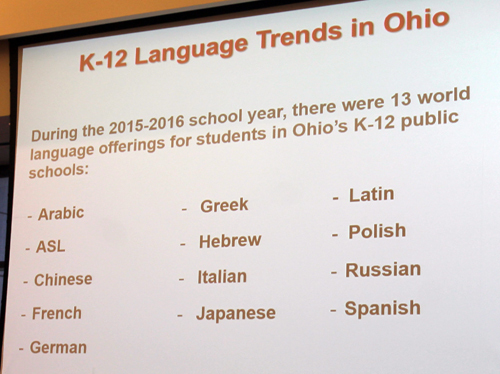 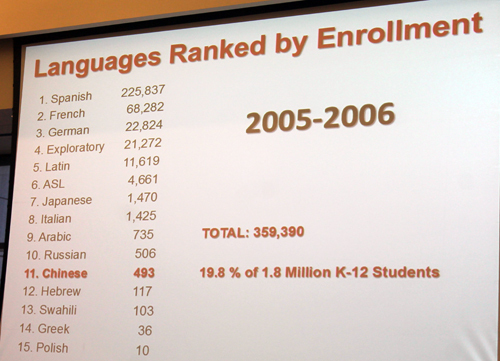 Mr. Wertz presented some interesting information about language trends in Ohio as you can see in the following slides. 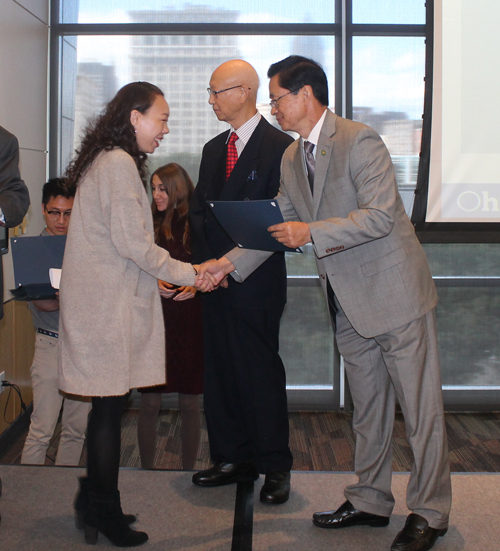 Next, Certificates of Appreciation from Cleveland Mayor Frank Jackson and from the Confucius Institute were handed out to honorees by Confucius Institute Board Chair Anthony Yen and Provost and Senior Vice President for Academic Affairs, Dr. Jianping Zhu, the Chief Academic Officer of Cleveland State University. 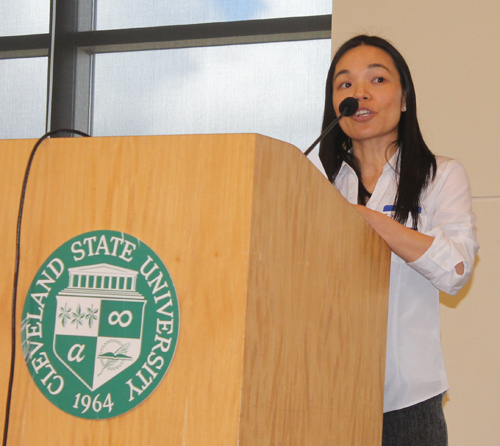 Erika Howard, Digital Learning Coordinator at MC2 STEM H.S. 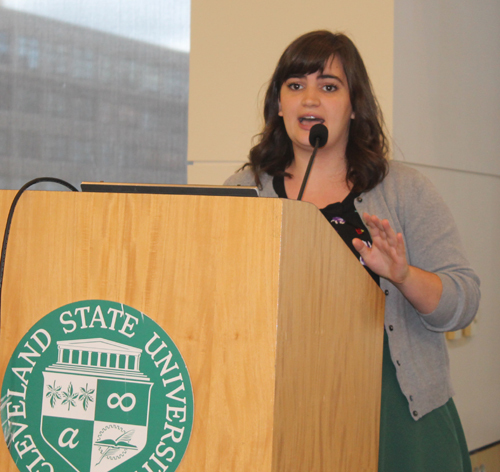 and SOLE Cle, told the students and administrators about the Self-Organized Learning Environments (SOLEs) program. 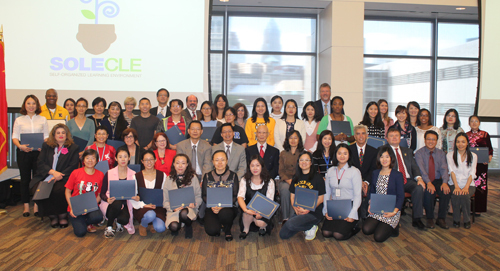 The formal program ended with a group photo of honorees and lunch. 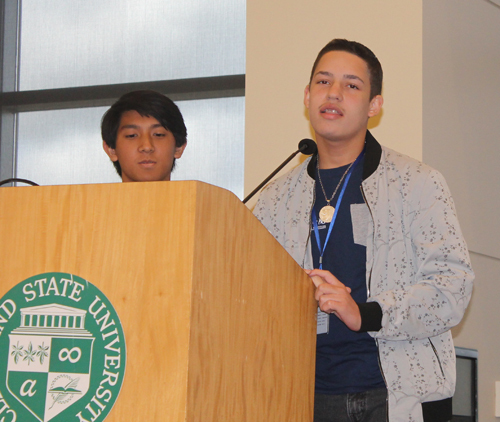 Then back to their respective schools to implement the many ideas that they learned. 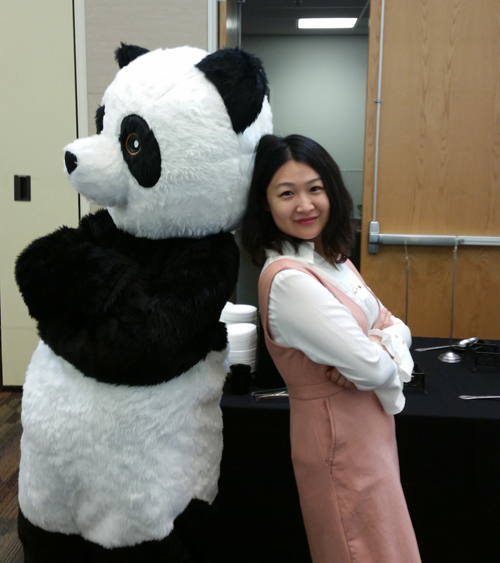 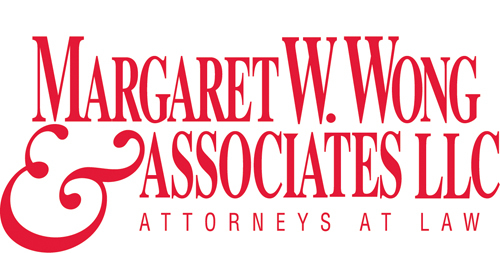 If you are a student, teacher or administrator please let us know about your international programs and classes so that we can publicize and refer others.